IUE spectrum of HZ4 (purple) overplotted with the GALEX spectra as small squares and as large squares in 50 Å bins. The black squares are the GALEX data set 3363665691615955843, while the red squares are 3365847122685462904. The large black and red diamonds are the 1539 and 2316 Å GALEX photometry that agrees fairly well with the spectral measures. 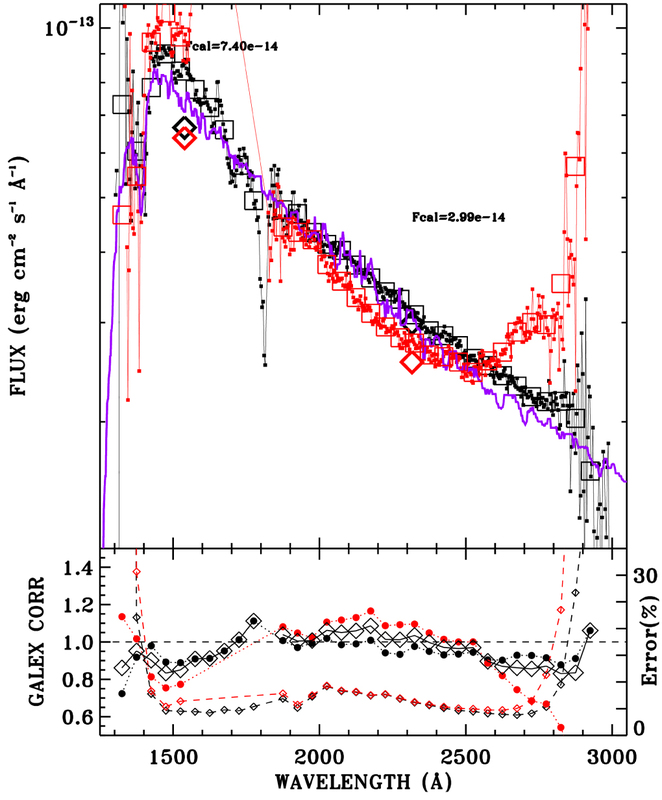 In the lower panel, the average flux ratio of IUE/GALEX is shown as black diamonds connected by solid lines, while the black and red filled circles connected by dotted lines are the results from the two individual GALEX observations. 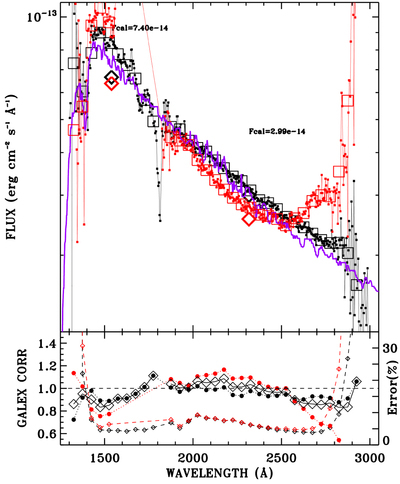 The GALEX plus IUE statistical uncertainties combined in quadrature appear as small black and red diamonds connected by dashed lines with a scale in percent indicated on the right axis.